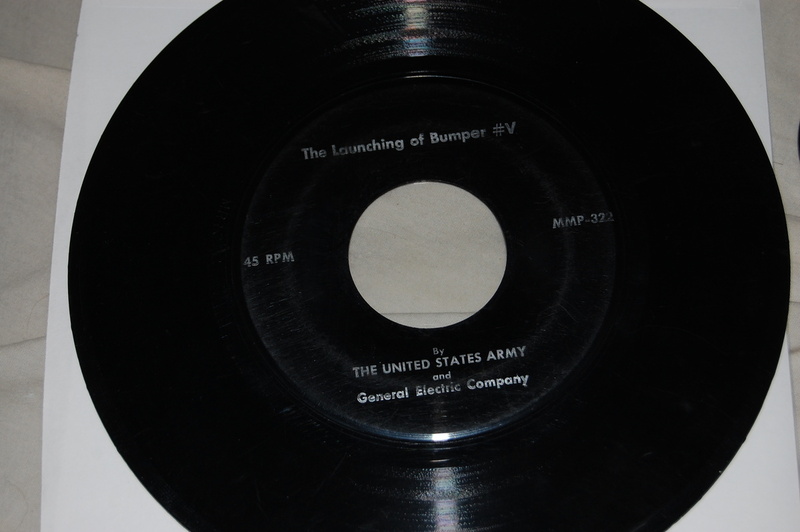 Military 7" record - "The Launching of Bumper #V"
In Military and Wartime > Show & Tell and Records > Show & Tell. Here is a 45 rpm/ 7 inch record issued by The United States Army, it is the audio recorded live on February 2, 1949 when this rocket (Bumper #V) became the first man-made object put into space. You can hear the noise of the launch in the background, while someone is watching and narrating the event, as it happens. I came across it in a goodwill/thriftshop in Virginia. Amazing history, I love listening to it. You can really feel the weight and intensity of the moment. "The Launching of Bumper #V"
The information on the launching of Bumper #5 is easily found and in abundance. While I have never come across any information on the record itself or similar records of similar events. If anyone has any information regarding the record, it would be much appreciated! 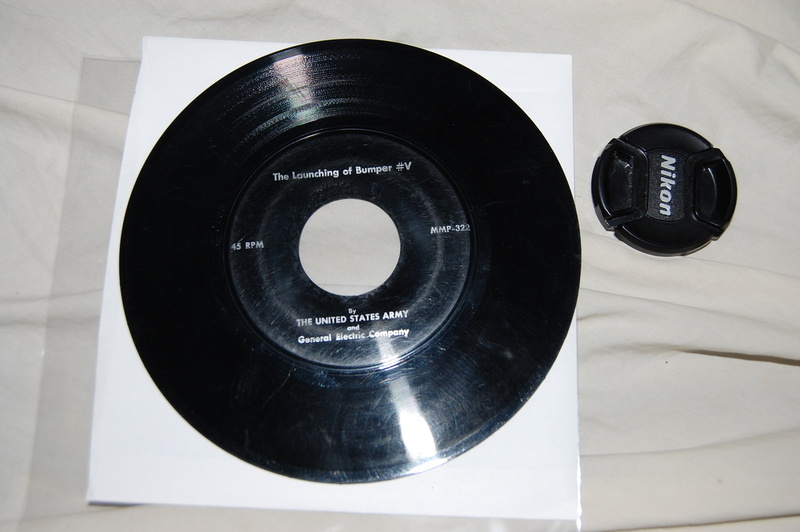 I don't know anything about your particular recording, but I do know that the first 45 rpm single record was released in February 1949, the same time as yours was recorded. I don't know what that first record was, but at least you know this record is among the very first of that type. (that is, if the recording and pressing was done near the same time). I actually found a copy of this in my grandfather's old camera closet as we were cleaning out his closet. I can't find anything on this record either. I know that the only one I've seen for sale is going for about 300$, but I can't find *anything* on it information-wise and it's driving me nuts. Anyone out there know anything?